Melinda is an expert in her craft! 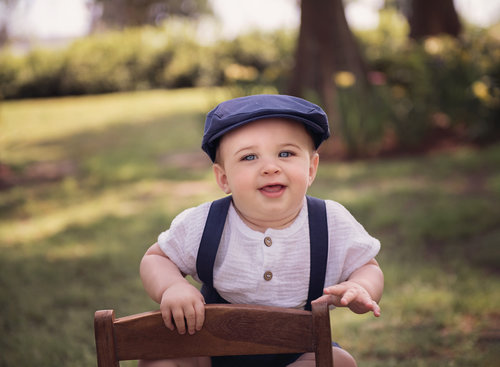 I loved working with Melinda for my son’s newborn, six month, and one year photos. After researching over fifteen photographs at eight months pregnant, she won my business hands down. I will always remember the care she took with my newborn son at the time. She has so many tricks up her sleeve to get a plethora of dreamy newborn photos— I had SO many to choose from! Every session always resulted in so many stunning photos; I wanted to purchase them all! She has an exceptional vision and always takes her time to ensure I was completely satisfied with all the shots I wanted to get. Melinda also has the most adorable outfits for babies to use- one less stress! All in all, her photos speak for themselves with their timeless classic approach and capture the magical essence of childhood. I am proud to hang her work in my home! Melinda was amazing and I loved how patient she was with my little one. We loved every single photo and are grateful that we have memories to look back on.